Ahhh... the cheerful sunflower!! I love its action of facing the best direction no matter what anyone else is doing. 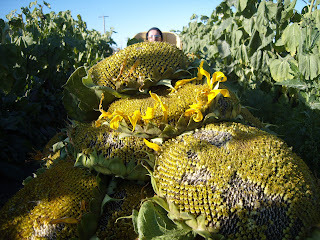 Those are sure big sunflowers. I love the look of sunflowers with their bright yellow faces!